thanks all for taking the time to look but im really at a loss. i had an oem lip and bought a wwrs lip lip but now that i have it i think i like the oem better and am only leaning toward the ww because i paid for it and want to use it. here are some pics. details would be great in your opinions and please refrain from just saying one or the other without a reason as that wont help me at all. thanks again, really appreciate it. first one looks best w/ the stock sides and rear. the second one is too low unless you have the optional sides and rear as well. thanks and forgot to mention i have a set of mugen sides for it. also while it looks lower, the ww is actually about a half inch higher at the front corner measured off the ground. Yeah I agree that the first pic looks best with the stock side skirts. I have a similar lip on the front of my car with side skirts. 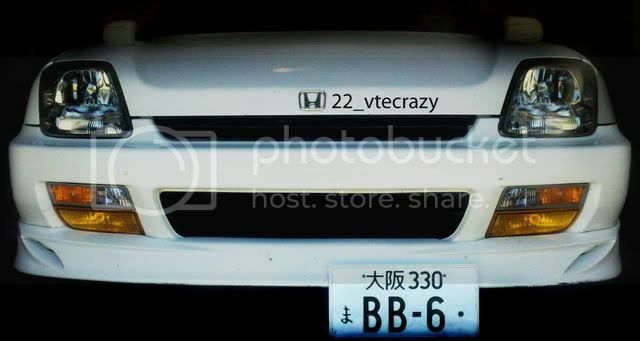 So I would say the second pic if you have the set of mugen side skirts. Man i want a ****ing lip.. The OEM lip. wait you said you have an oem lip, but none of those are oem.. The first one is NOT and OEM lip, I believe its the ABS plastic P1 lip (just a heads up). 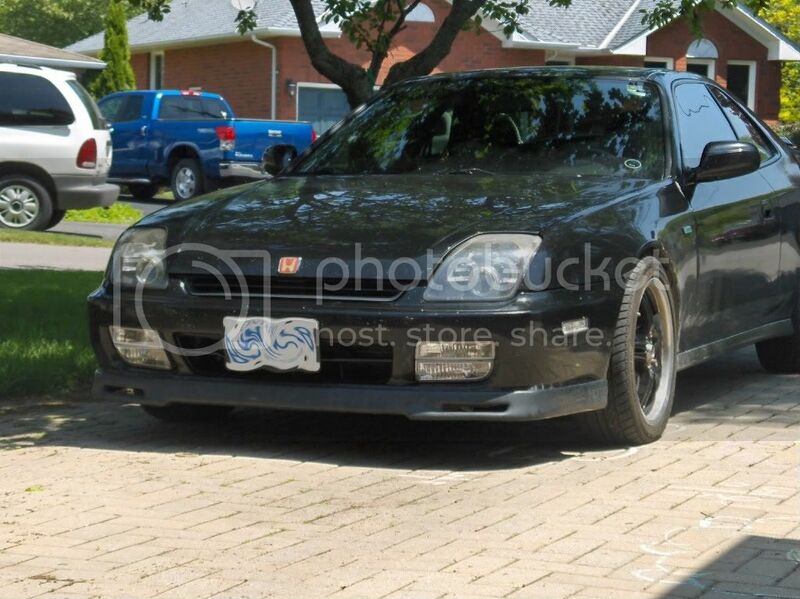 But I use to have WW front and mugen sides and it flowed really well. I say the WW because its more aggressive than the P1, and because I have the WW one and I LOVE it, ORRRRR you could also fill in the holes (if you dont like them) of the WW, I have seen it done and looks pretty dang cool! thanks and i was always under the impression it was an oem. apparently not. unfortunately i find the info on the lip, spoiler and body kits for these to be somewhat confusing at times. The second one will be great if you lower the car.. The first one just don't look aggressive enough to me.. I was looking at your headlights. Are they bright enough? Or do have the hid conversion. they are 5k hid's. work great. in the pics they arent on its just a reflection. Go with the wwrs. I just ordered my wwrs kit today. I like the look. I've been saving up for awhile now and finally made a decision. I'm looking at those headlights for mine. Are they led on each side of the bulb? Last edited by 00CDMLUDER; 06-06-2011 at 02:09 AM. theres 3 leds on either side of the main bulb. cf front lip is balsy in my book. that would be the last time anyone drove it but me. im sure it looks sweet. funny about the motegi, i just learned yesterday there was a motegi edition lude. Because of the way that front lips are installed on 5th gen Preludes, I would just stick with the lip provided in the uncovered stock bumper cover.You see the OEM lips installed on the 3rd ,4th gen Preludes I believe were installed under and not over the existing bumper.Done that way the fit and finish and over all appearance is excellent and unchanging with time.When a lip is installed over an existing bumper as is usually done on a 5th gen Prelude to cover up the cars existing lower lip, its fit and finish when first installed just does not look that good and gets worse with time.For those in the know thats because the temperature coefficient of expansion of the material that makes up the bumper cover and the trim piece are not exactly alike. 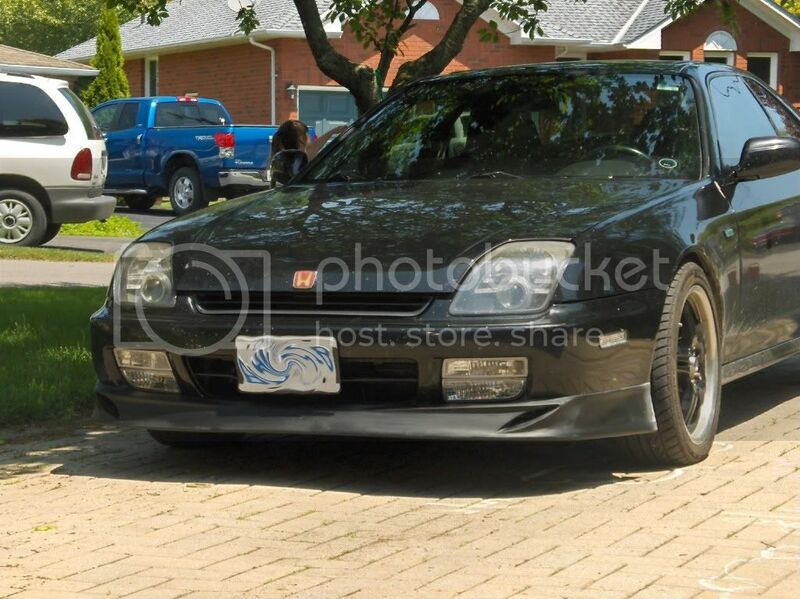 The way it covers up the existing bumper,the way that it tends to warp and detach from its original flush attachment with the front bumper over time and lastly the way that its ends don't always fit flush with the wheel wells all distract from any appearance improvement it would make .At any rate, the stock 5th gen Prelude comes with a lip molded into it that looks just great and never deviates with time from its original look so why hide it! Picture detailing the problem areas usually effecting this type trim piece thats mounted over as apposed to under the existing front bumper cover. Picture showing the good looking stock lip that never deterates from its original bling . Two examples of trim pieces installed under as apposed to over the existing painted body work.Just imaging how crappy the side trim would probably look today if it was glued over the existing lower body panel instead of hanging under it for example. Go with the wing west lip.